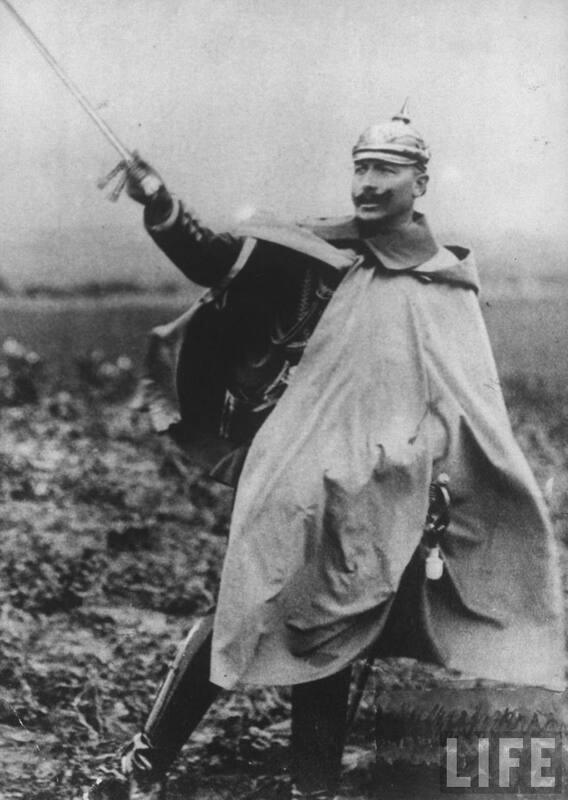 The reign of Kaiser Wilhelm II as King of Prussia and Emperor of Germany from 1888 to 1918 saw the meteoric rise of Germany as an economic and military power. It also saw the fragmentation of Europe into opposing camps of mutually-mistrusting alliances, a world war ending in Germany’s humiliating defeat and the abolition of German monarchical rule. Wilhelm’s life, actions and complex character played a significant part in this destructive process. Utterly convinced of his right to rule, Wilhelm always overestimated his capacity for wise political judgment. His dismissal of Chancellor Bismarck in 1890 and ambitious aims to make Germany a world power served to disrupt the established balance of the European order. He was Queen Victoria’s first grandson, but his ambivalent, love-hate attitude to Britain strained relations between the two countries. His obsession with the enlargement of the German Navy, pro-Boer stance during the Second Boer War and blustering claims for German colonial expansion just brought Britain and France closer together. Wilhelm’s paranoid fear of a deliberate encirclement of Germany served only to increase her isolation. The crunch-time came during the July 1914 crisis, after the assassination of the heir to the Austro-Hungarian empire by a Serb nationalist. Wilhelm’s rash assurance of unlimited support to Austria-Hungary was a significant contribution to the outbreak of war. He proved indecisive and ineffective as a war leader and increasingly strategic and political power fell to the German High Command. By late 1918 Wilhelm’s presence proved an obstacle to peace negotiations and, forced to abdicate on 9 November 1918, he was bundled off to neutral Holland, where he remained until his death in 1941. Wilhelm was attracted to and impressed by the pomp of military heraldry but his theatrical posturing as ‘supreme warlord’ only disguised his unpredictability and ineffectiveness as a war leader. His behaviour made him a gift for Allied satirists and caricaturists. During the First World War his image was seen as the personificaiton of evil and ultimate source of all German ‘frightfulness’.